Suddenly-In-Command training will help you know what to do. will be offered at the Feb. 11-15, 2015 CNY Boat Show. Syracuse, NY – What do you do when you are enjoying a boat ride and an emergency suddenly occurs and you find yourself in charge of the boat? To find out, visit the February 11-15, 2015 Central New York Boat Show at the NYS Fairgrounds, Syracuse, NY, and participate in a free and fun, but deadly serious, hands-on learning experience aboard a boat that could save your life and others. New York Sea Grant and U.S. Coast Guard Auxiliary (USCGA) are offering an interactive Suddenly-In-Command training experience at the 5-day event that is the largest and oldest boat show in New York State. The Suddenly-In-Comman introductory program will engage visitors aboard a 28-foot pontoon boat as if an emergency on the water has occurred. The public will participate in a life jacket drill with various types of floatation and inflatable life vests; learn basic boating terminology, equipment and operations to be able to assess, stabilize and pilot a boat and summon assistance; learn the three different types of emergency flares and see how a flare is safely ignited in a live demonstration. New York Sea Grant and USCGA instructors suggest arriving early for seating aboard the boat provided by Frontenac Harbor for use as the Suddenly-In-Command education vessel at the show at the New York State Fairgrounds. Bleacher seating will also be available for the Suddenly-In-Command Intro sessions at 6:30pm on Wednesday, Thursday and Friday; 12pm, 2pm and 4pm on Saturday; and 12pm and 2pm on Sunday at the Central New York Boat Show in the Horticulture building. ‘The 2015 Central New York Boat Show is pleased to bring this critical water safety education to show visitors this year to help protect family members and boat passengers who may suddenly find themselves in an emergency situation and in charge of getting the boat back to shore or getting help,’ said CNY Boat Show Manager Drew Wickham. 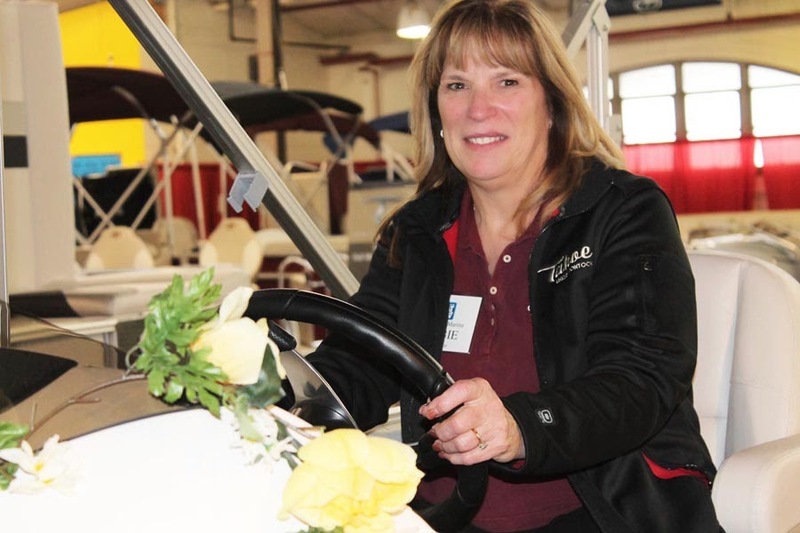 The Central New York Boat Show fills three buildings with 500-plus models of boats of all styles, personal watercraft, and marine accessories, along with boating and fishing guides; charter captains; yacht clubs; waterfront destinations; and local, state, and federal law enforcement agencies. The 2015 New York Sea Grant Discover Clean & Safe Boating vessels will be at the show with information on life jacket and boating safety and voluntary watercraft inspection to help slow the spread of aquatic invasive species. The February 11-15, 2015 Central New York Boat Show hours are 1pm-9pm Wednesday-Friday, 10am-9pm Saturday, and 10am-5pm Sunday at the NYS Fairgrounds, Syracuse, NY. Admission is $10/person, children 13 and younger enter free, with free parking and shuttles. Learn more at www.cnyboatshow.com.
. 63 percent of emergencies occur while cruising or drifting on the water. The show sponsor, Boating Industries Association of Upstate NY, recently received the Marine Retailers Association of the Americas’ Bill Ferguson Award for outstanding service to members and public education outreach at the annual CNY Boat Show. The event also offers free Young Boater Safety Certification Training that is required for ages 10-17 to operate a boat or personal watercraft alone on NY waters. New York Sea Grant is taking registrations at 315-312-301, www.cnyboatshow.com. 0 Comments to "Suddenly-In-Command Learning Drill for Boaters: Exciting Addition to 2015 CNY Boat Show"